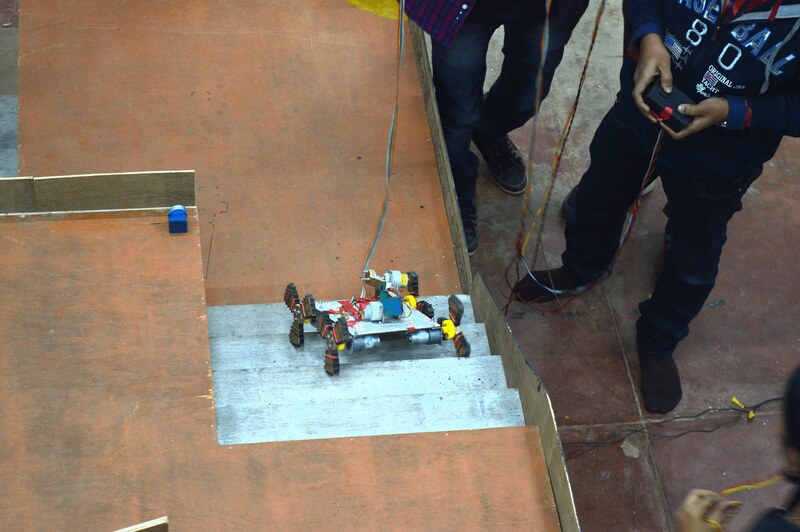 21st January 2016­ - A Red Letter Day for all the technocrats eagerly waiting for some dynamic events in the world of robotics.Precisely,it was the day when curtains were raised for the annual Techno­management fest Kshitij 2016 and along with it was launched the 16th edition of the annual robotics charade ,ROBOTIX 2016!! Over the years, the popularity of the fest has increased by leaps and bounds. It goes without saying that the standards have risen­ grown like skyscrapers.The main target audience of the competitions was primarily the undergraduate students of numerous technical institutions across India.The events were ingeniously crafted for increasing the participation of students- while maintaining the standards set by the previous iterations and overall intricacy. 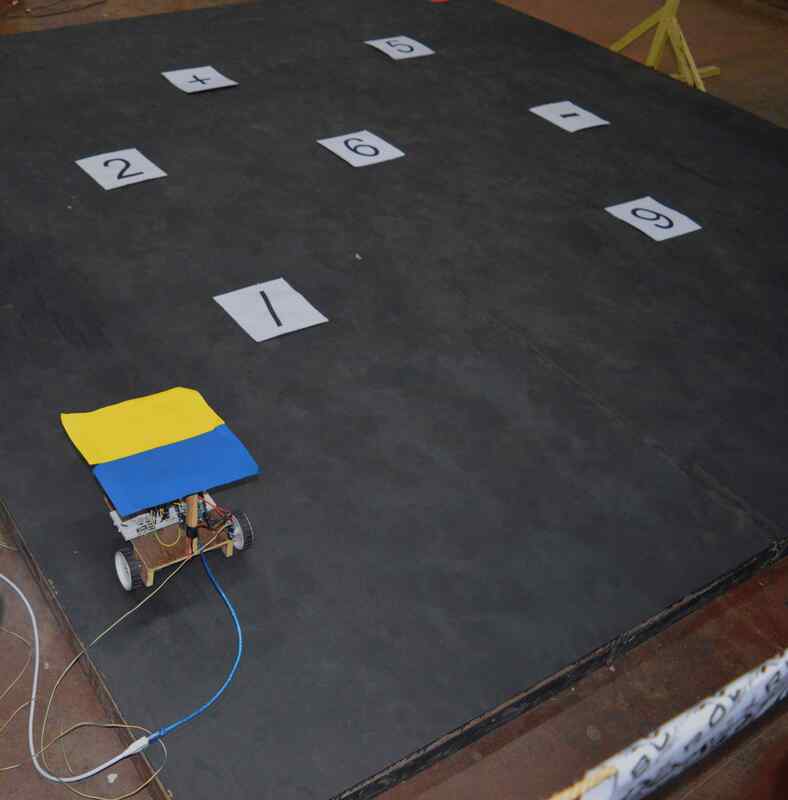 The events were categorized into Manual Robotics, Autonomous and Semi- Autonomous Robotics and Computer Vision. It was quite obvious that the Manual event Summit witnessed maximum participation.Prima facie the problem statement included building a stair climbing robot able to pick and store objects on its way. The event saw some mind boggling designs and runs! The number of teams were close to 100. The second manual event Droid Blitz was conducted in collaboration with Kshitij. It required building an Amphibious Robot. This event also saw good quality participation. It succeeded in pooling participation of 50 teams. This year’s Autonomous Robotics events consisted of Sherlock and Semi- Autonomous event Warehouse .With a combined participation of over 60 teams it proved that the events tested the mettle of participants. 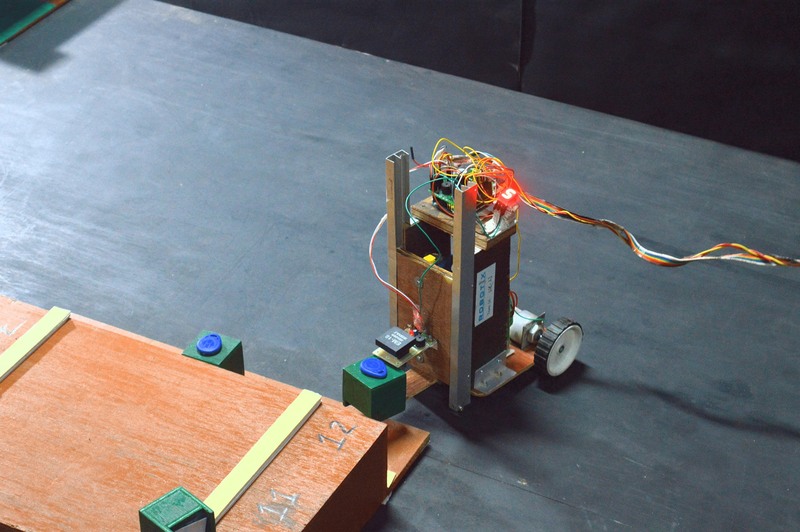 IR reception and decoding along with path optimization and magnetic heading following was the USP of sherlock, while Warehouse dealt with gesture control robots capable of storing blocks based on their RFID tags. S.H.E.L.D.O.N, the Computer Vision event required building of an autonomous robot capable of detecting characters using concepts of Image Processing and traversing them such that the expression satisfied a certain condition.The challenge albeit difficult was tackled by some really nice codes and algorithms and witnessed participation of 20 teams. To wrap up the discussion we must admit that the annual robotics extravaganza proved yet again to be a cherry on the cake for our techno- management fest Kshitij. KUDOS To the entire Team Robotix (Technology Robotix Society) for once again proving their mettle and completing the fest with flying colours. Living upto the phrase ‘Carpe Diem’,the participants, support team and organising team succeeded in bringing out an awe­inspiring event which was one of its kind. So bidding Au revoir to Robotix 2016, we are indeed looking forward to various meticulously planned events in near future. Till then as we say, stay Geared Up!